Pompeii with 1.67 carat Cushion Center - Platinum - Ring Size 4.5 was added to your cart. 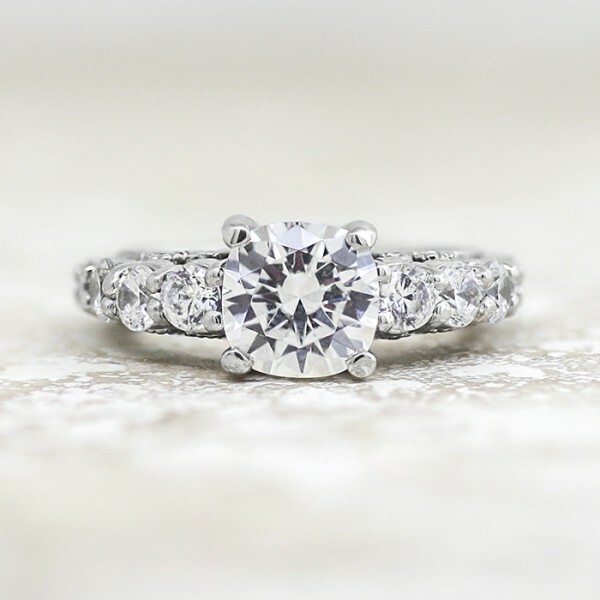 For sparkle that doesn't stop, the Pompeii engagement ring delivers in a big way. The semi-eternity band is set with graduated stones leading up to the gorgeous 1.67 carat Cushion cut Contemporary Nexus Diamond. Even along the profile, pave set stones and filigree embellishments perfect to help elongate fingers.